Lady Diana Frances Spencer, (July 1, 1961–August 31, 1997) was the first wife of Charles, Prince of Wales. 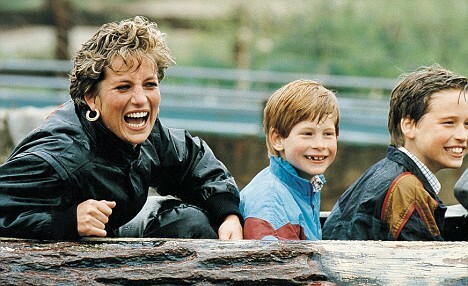 Diana was often called Princess Diana by the media and the public. Diana, Princess of Wales was noted for her pioneering charity work. During her lifetime, she was often referred to as the most photographed person in the world. Prince Charles and Diana’s engagement took place on 24 February 1981. 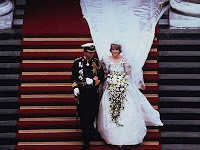 The wedding took place at St Paul’s Cathedral in London on Wednesday 29 July 1981 before 3,500 invited guests. Prince and Princess of Wales had two children, Prince William of Wales on 21 June 1982 and Prince Henry of Wales on 15 September 1984. Prince and Princess of Wales allegedly spoke to the press through friends, accusing each other of blame for the marriage’s demise. Charles resumed his relationship with Camilla Parker Bowles, whilst Diana became involved with James Hewitt. When the poor girl marries the prince, she is supposed to live happily ever after. She is not supposed to find out, the day before her wedding, that her bridegroom loves another woman he has been seeing for many years, even before that woman’s current marriage. 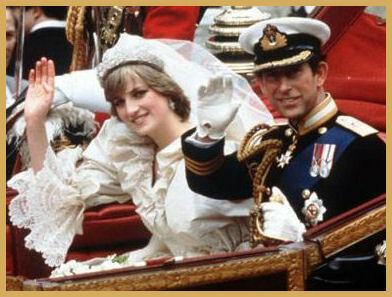 The Prince and Princess of Wales were separated on 9 December 1992; their divorce was finalised on 28 August 1996. Mother Teressa and princess Diana first met in February 1992, at Mother Teresa’s convent in Rome. Their final meeting took place in June 1997, when they met privately as Princess Diana left the Missionaries of Charity house in the Bronx. On 31 August 1997 Diana was involved in a car accident in the Pont de l’Alma road tunnel in Paris, along with her friend and lover Dodi Al-Fayed, and their driver Henri Paul. Previous Who was Osama Bin Laden? Terrorist Or Terrorism itself?